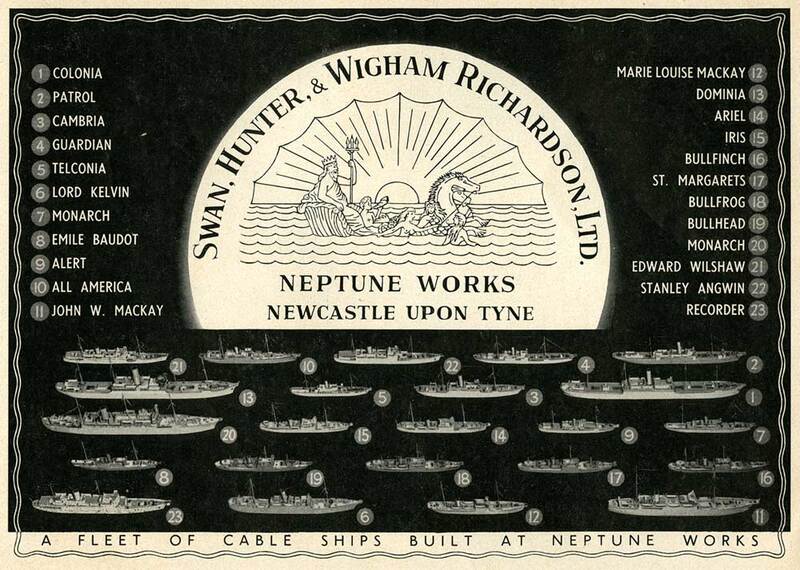 History of the Atlantic Cable & Submarine Telegraphy - Swan, Hunter & Wigham Richardson, Ltd.
Swan, Hunter & Wigham Richardson, Ltd.
Based at the Neptune Works, Newcastle Upon Tyne, Swan, Hunter & Wigham Richardson, Ltd. built cable ships for many of the world's cable companies. Swan & Hunter was formed in 1880, and in 1903 merged with Wigham Richardson (founded by John Wigham Richardson as Neptune Works in 1860), to bid for the contract to build the Mauretania for the Cunard company. 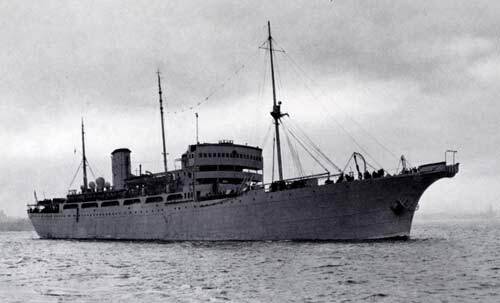 Their bid was successful, and the new company, Swan Hunter & Wigham Richardson Ltd, went on to build the Mauretania and many other ships. This advertisement for the company was published in the January 1957 special Transatlantic Telephone issue of the Post Office Electrical Engineers' Journal. It lists and illustrates the fleet of cable ships built at Neptune Works up to that date, 23 ships in all. 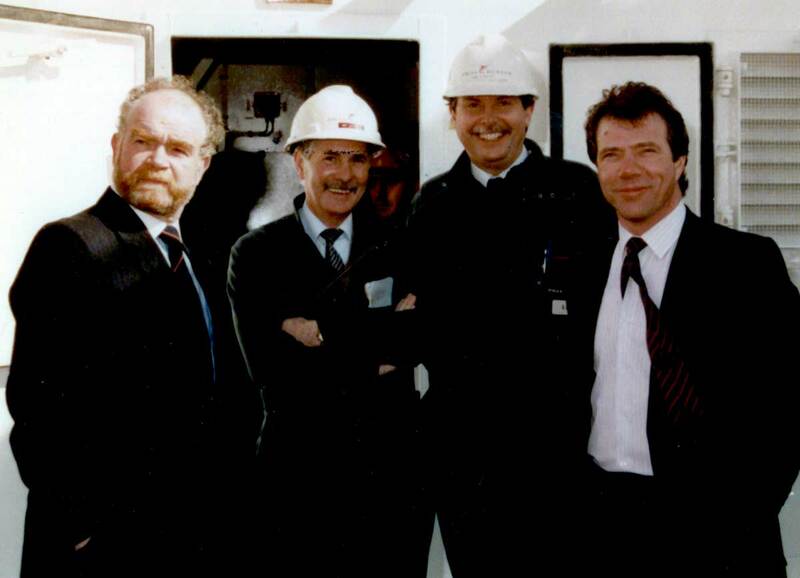 After many mergers and takeovers, nationalisation and de-nationalisation, the Swan, Hunter name continues in the ship-building business today, but the firm now specialises in offshore platform and naval work. 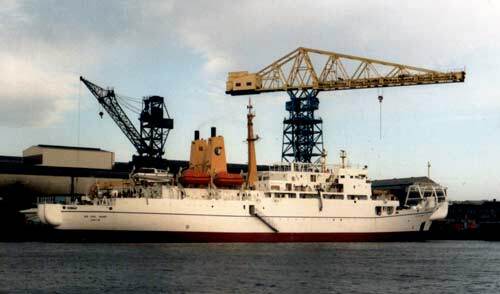 Perhaps the last cableship built by Swan Hunter was the Sir Eric Sharp, launched in 1988. Named after the chairmain of Cable & Wireless, the ship is still in service today, but under the new name of CS IT Intrepid after its purchase in 2004 by IT International Telecom. The photographs and descriptions below from the launch of the ship were kindly provided by Kathleen Robson. 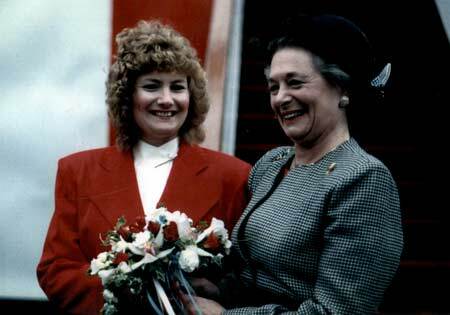 Miss Robson worked at Swan Hunter for many years and was secretary to Ian Pike, the shipbuilding manager in charge of the Sir Eric Sharp during its construction at the Wallsend Shipyard. The photographs are reproduced by permission of Tyne & Wear Archives and Museums, which holds the Swan Hunter archives. The Swan Hunter material may be searched in the archives catalogue.